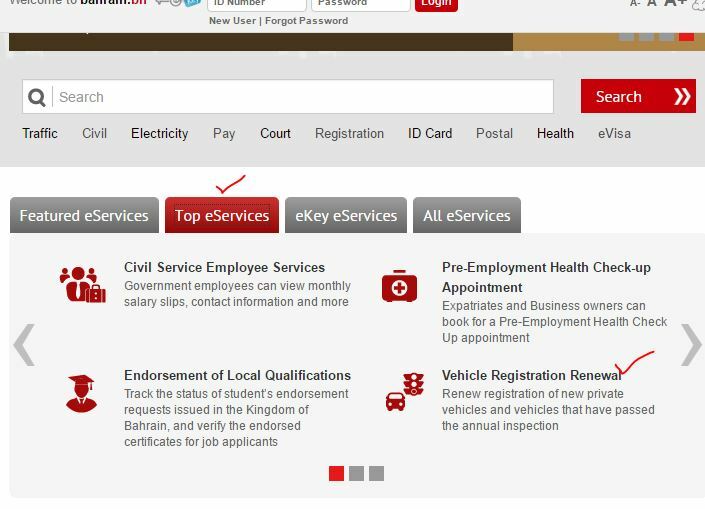 Bahrain Government provided easy access to services through its e-government portal one of these are traffic related online services which were affiliated with General Directorate of Traffic which allows Bahraini citizens as well as expats to check and pay their fines, as well as renewal of vehicle registration online service. 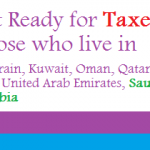 Renewal should be applied 3 months prior to the actual expiry date. New Vehicle didn’t need inspection but vehicle more than 5 year old requires inspection before renewal process to start. 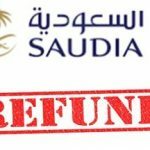 Late Fine of 500fils will be imposed for each day after 7th day from expiry date till 40 days after that fixed fine of BD 40 will be charged. Insurance must be done, from third party insurance company or other. Which valid for one year starting from the month when vehicle registered. To Renew vehicle must be sure that you fullfil the above requirement, for older vehicles it is Good to follow the manual procedure. 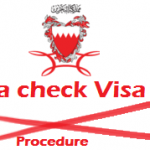 Visit Bahrain.Bh and change the language to English from upper left corner. 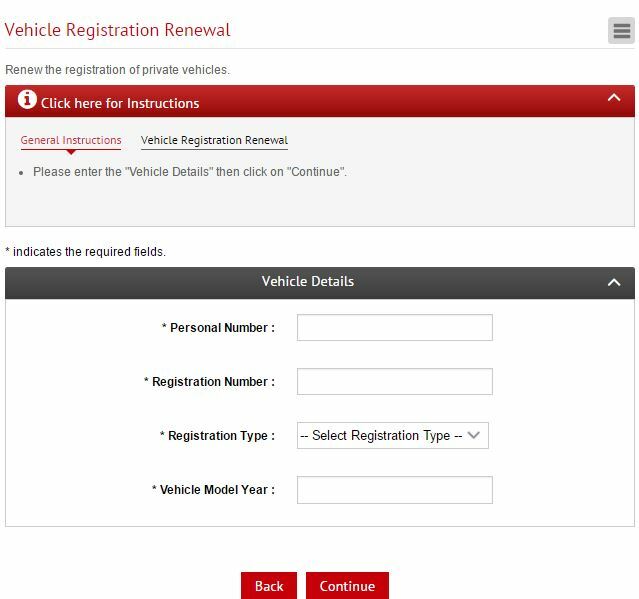 Now enter your vehicle details Enter you ID Number(personal Number) Vehicle Registration Number, Type and mode/year and click on continue.